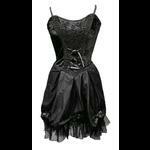 A beautiful gothic corset dress from Dark Star. 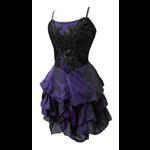 The upper bodice is made from stretch satin with a central front panel of black velvet decorated with braid, corset lacing and lace. 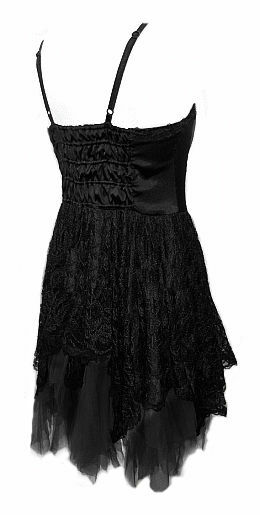 The bodice is boned in two places on the front. 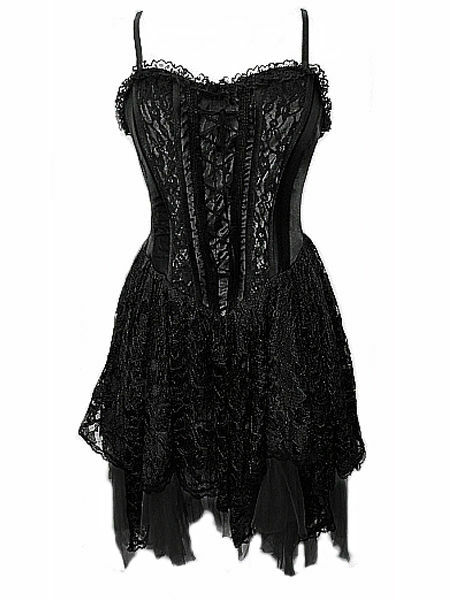 The skirt section of the dress is made from lots of layers of soft floaty black mesh cut to handkerchief points then covered with heavy black lace. 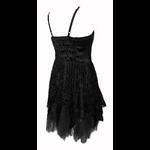 The back has an elasticated panel allowing fitting for a range of sizes, the neckline is trimmed with delicate black lace and the satin shoulder straps are adjustable. 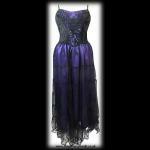 A stunning dress, sure to get you noticed!